The return of Vladimir Putin to the Russian presidency should not alter the course Moscow has set in the South Caucasus and the Eurasian sphere. Given Russia’s role in the world and the degree of its impact on international politics, the results of the country’s March 4 presidential election will be felt globally as well as locally. Russia’s Eurasian neighbors in particular are assessing what the return of Vladimir Putin to the presidency will mean for them. Part of the discussion is moot simply because Putin never left government; as prime minister, he was the key figure making foreign policy decisions. As president, Dmitry Medvedev had some opportunities to advance some innovative rhetoric about modernization in Russia and a new architecture for European security, but as of at least September 2011, Putin dominated in the foreign policy arena, particularly in the Eurasian sphere. He initiated an ambitious project to create a Eurasian Union and proclaimed the end of the Post-Soviet era, saying that this agenda had already been exhausted. Medvedev’s Eurasian policy had no essential differences from the course followed by Russia in 2000-2008; Moscow traditionally tried to preserve the status quo whenever possible. Transnistria is a breakaway territory within the Republic of Moldova, located between the Dniester River and Moldova’s eastern border with Ukraine. Since its declaration of independence in 1990, Transnistria has been governed as the Pridnestrovian Moldavian Republic (Pridnestrovie). However, the Republic of Moldova does not recognize this independent state and considers Pridnestrovie-controlled territories as a part of Moldova. After the collapse of the Soviet Union, tensions between the Moldova and Pridnestrovie resulted in a 5-month-long military conflict in 1992. Although Russia contributed to brokering a ceasefire agreement between Moldova and Transnistria, the situation remains unresolved. Although unrecognized by the international community, Transnistria operates as an independent state with its own government, police and currency. It is important to point out here that it has been difficult to separate Putin’s rhetoric from his policy. 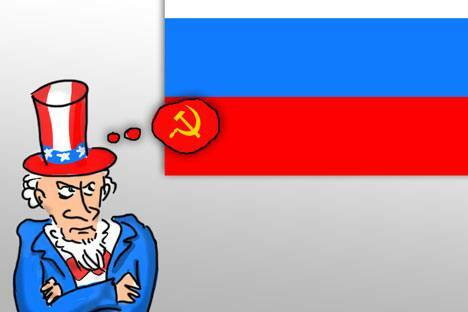 There is no doubt that Putin uses comments about the U.S. in particular and the West in general for internal political mobilization and PR, and he is to be blamed for excessive emotionality in the Eurasian vector of Russia’s foreign policy. Over the past few years, Putin has missed numerous opportunities for compromise with Washington and Brussels, and generally has simplified the foreign policy agenda related to the CIS and Baltic countries, turning it into a black-and-white picture of the confrontation between Russia and the United States. Nevertheless, it hardly makes sense to call him an architect of a “new cold war.” Although it’s fair to question Putin’s reaction to global events, it is also necessary to examine the actions of the Eurasian and Western leaders in the South Caucausus. These leaders ignored the connection between the issues of Northern Caucasus security and the situation in the South Caucasus. They granted unjustified advances to Mikhail Saakashvili and gave him confidence that Moscow’s position could be disregarded. The American leadership is also responsible for the failure of Dmitry Kozak’s plan for the resolution of Moldova-Transnistrian conflict in 2003. It was exactly that failure, and not the series of color revolutions that followed it, that fine-tuned Putin’s harshness and intolerance of the positions of the U.S., the EU and NATO. Had the Transnistrian resolution followed a different path, probably today Russia’s neighbors would not have cause to be alarmed about Putin’s “return.” The West’s position in both these cases was basically an overreaction to its fear of the restoration of the Soviet Union. While there is no reason to believe the Soviet Union would ever be reestablished – not least of all because today there is no ideology that could unify the region – it is impossible to overestimate Russia’s political and economic influence in Eurasia. Even after the Five Day War, Russia remains the third-largest foreign investor into Georgia, and this is only one example of the country’s economic power in the region. Russia’s military presence is also felt throughout the former Soviet Space. There is a military base in Gyumri, Armenia; Ukraine hosts much of the infrastructure of the Black Sea Fleet in Sebastopol; there is the Gabala radar station in Azerbaijan, the Volga radar station in Belarus, and the Kant air base in Kyrgyzstan. The Nagorno-Karabakh War was an armed conflict fought from 1988-1994 between former the Soviet republics of Armenia and Azerbaijan over the small region of Nagorno-Karabakh. Although located entirely in Azerbaijan, the population of the territory is mostly Armenian, and after the fall of the Soviet Union, the local population voted to unite with Armenia. Azerbaijan, however, refused to let the territory secede. The territory declared itself the Republic of Nagorno-Karabakh and has been basically self-governing since 1991. Additionally, in the perspective of many in the region, Russia holds the key to resolving the region’s frozen conflicts. The Georgian political establishment and many politicians in Eurasia and the Baltic countries continue to blame Moscow for the secession of Abkhazia and South Ossetia following the Five Day War. By recognizing these two breakaway republics, Russia gave hope to the other frozen conflict zones in the former Soviet space – Nagorno-Karabakh and Transnistria – and likewise caused concern in the political establishments of Ukraine and Moldova. But after August 2008, Moscow did not follow the path of total revisionism. Moscow instead worked through 2008-2012 to build parallel relationships with Armenia and Azerbaijan and pragmatic ones with Ukraine and Moldova. And there is hardly any reason to believe that in 2012 Russia will step back from this course. The most important thing to remember when examining Russia’s foreign policy is that Moscow works from the perspective of its own self-interest, and this will be the case no matter who is sits in the Kremlin. Sergei Markedonov is a visiting fellow at the Center for Strategic and International Studies in Washington, DC.